Welcome to the Weatherly Hillclimb Association website! The Weatherly Hillclimb was about to become extinct in 2001 due to rising costs, primarily in the insurance costs to run the event. 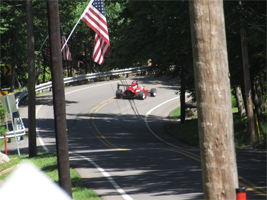 Several Weatherly citizens became aware of the situation and formed the Weatherly Hillclimb Association in April of 2002. During the last 16 years there has been a dramatic revitalization of the event, led by the members of the association. There has also been an outpouring of support from local citizens and businesses which is always much appreciated. The Weatherly Hillclimb Association would like to take the opportunity to welcome you to our website and to also thank YOU for supporting our efforts and events. If you are interested in obtaining more information regarding the event and/or the Weatherly Hillclimb Association please feel free to contact one of the members. Our association does not require any dues to join. We also do not require your attendance at EVERY meeting since we understand life is hectic and busy. We appreciate having new faces at our meetings, new ideas are always welcome and when we get together we do a lot of brainstorming. Thank you for visiting our website. We look forward to your comments/suggestions. But most of all, we look forward to seeing you at one of our hillclimb events.